Thermoformed point-of-purchase display trays are designed to securely hold and showcase consumer products at retail. Used for promotional marketing that engages consumers at the point-of-purchase, POP display trays enhance the interaction between consumers and products. 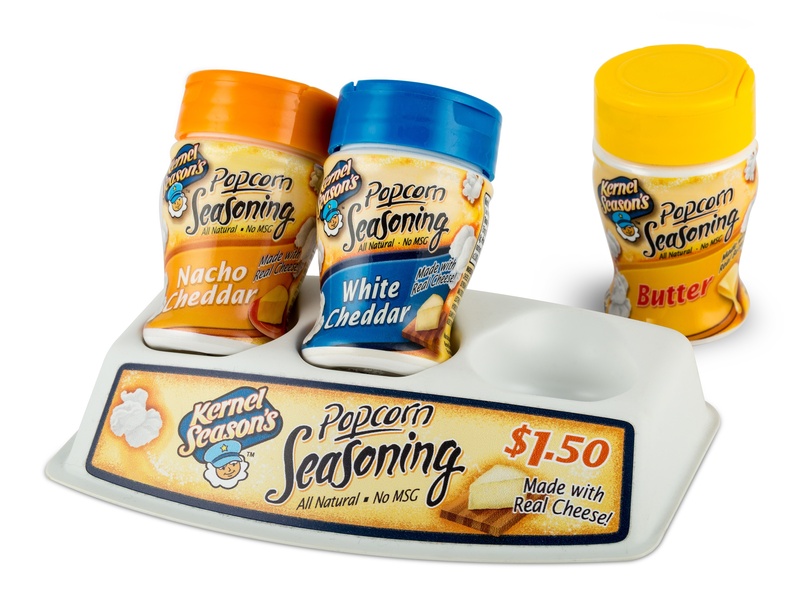 Any item intended for display on a counter or shelf in a retail store could benefit from a custom thermoformed POP tray from Dordan Manufacturing. Thermoformed POP display trays are available in a variety of materials, colors, and thicknesses, allowing for technical performance and branding flexibility. Your POP display tray can be designed with the exact material, gauge, and color needed to complement and protect your products and brand. Dordan has 60-years experience designing and manufacturing custom thermoformed POP display trays. A full-service POP tray designer and manufacturer, Dordan provides all POP tray design, tooling, and thermoforming in-house. This integration between POP tray design and manufacture allows for the production of high-quality thermoformed POP trays in quick turnaround at competitive pricing. Dordan can manufacture thermoformed POP display trays up to 30" x 38" x 6" and between 0.010" - 0.080" thick. Dordan is ISO 9001:2015 certified for the design, production, and distribution of custom thermoformed packaging; we are an engineering-based designer and manufacturer of plastic POP display trays.